The women of Alpha Chi Omega at Southeast Missouri State University are so excited to welcome home new members this September. If you are reading this, hopefully you are considering going through recruitment in just a few short months. If I can give you any advice, it would be to take a chance on this overwhelming, but completely worthwhile, process. Alpha Chi Omega is more than just an organization of strong women, but a home. There is no doubt that the years of college before you will fly by, but there will be moments when you need someone to lean on, a shoulder to cry on, and a good laugh– or in other words, a friend. This chapter is full of women who are undeniably strong, driven, and, most of all, loving. 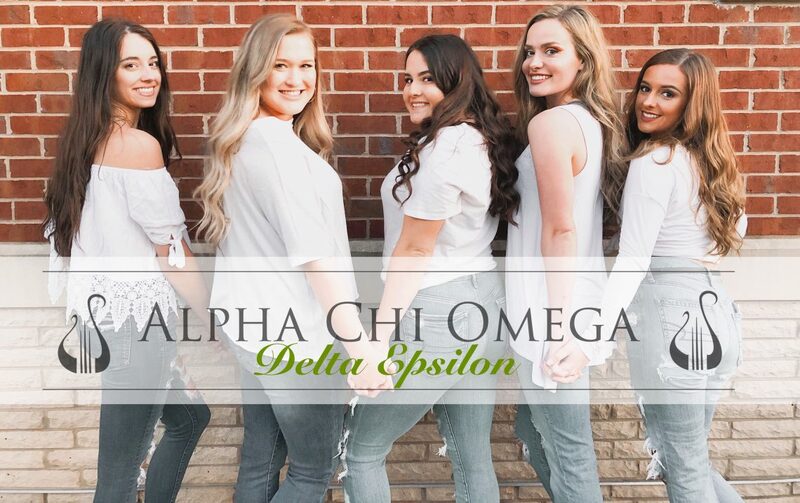 We are not all the same; in fact, we are drastically different– and that’s what makes this chapter so incredibly special to me, and to all of mysisters. Yes, all of this may sound cheesy, or cliche– but it’s true. In all honesty, Alpha Chi Omega not only helped me meet amazing sisters I would have probably never met otherwise, but molded me into a better leader, organizer, listener, problem-solver, and friend. On behalf of Alpha Chi Omega, we genuinely cannot wait to meet you and show you what makes our sisterhood so special and unique.